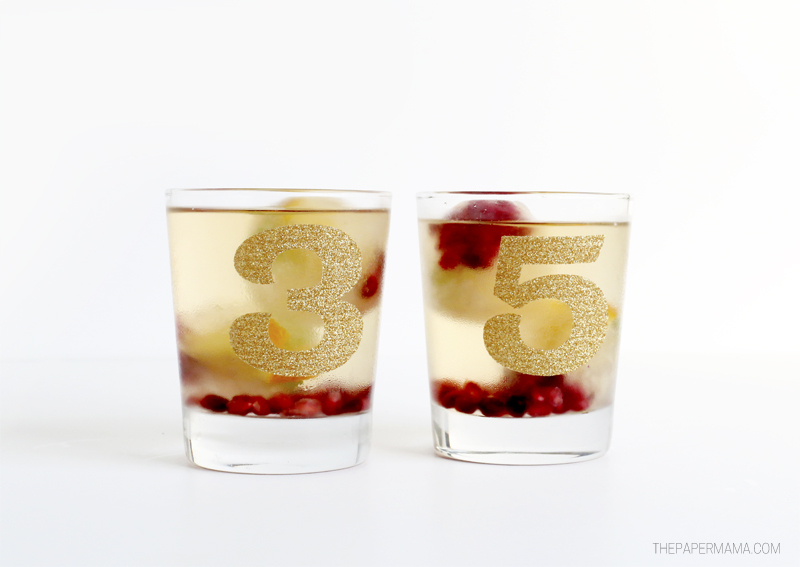 Day 6 of 50 DIY Days: Festive Christmas Wine Ice! I’m not really a cocktail drinking kind of girl. 99% of the time I will always choose a glass of wine if I’m drinking. SO, when it comes to the holidays I like to get a little creative with my wine drinks so I can feel like I’m drinking something fancy. 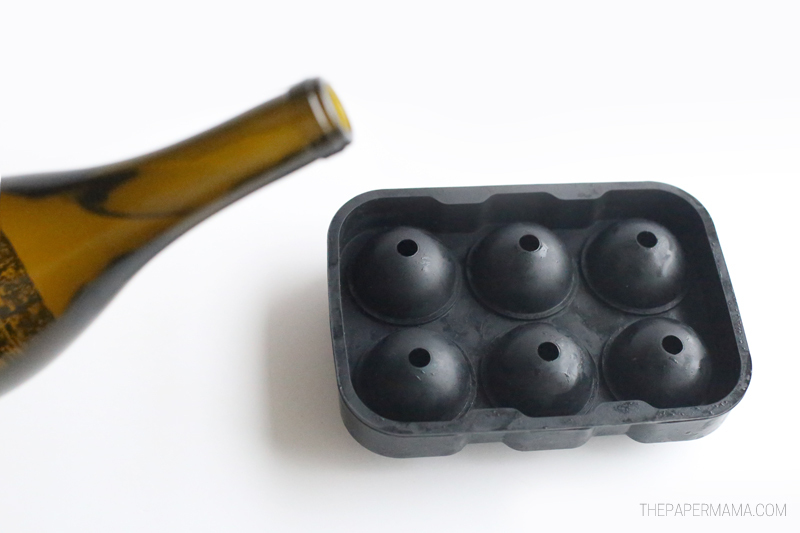 Today I’m sharing how I make some Festive Christmas Wine Ice so my fellow wine lovers can also feel like they are having a “cocktail”. 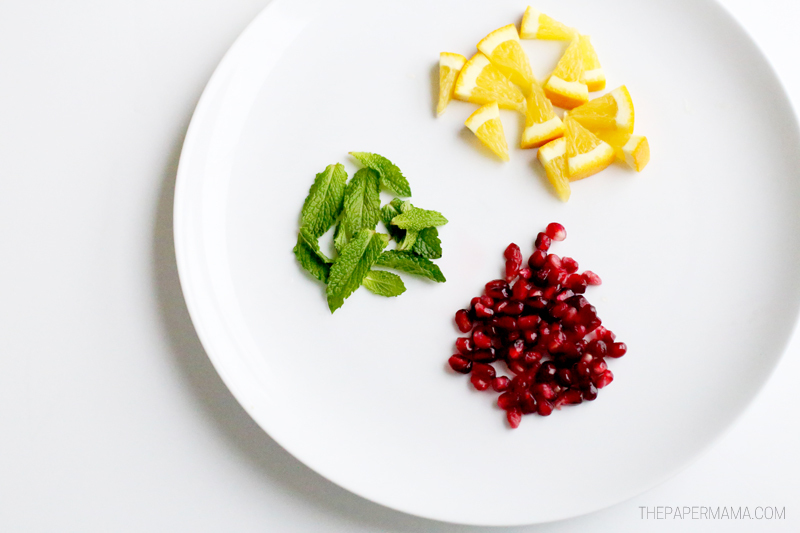 Step 1: Cut up your orange into small little triangles and pick out some small leaves from your mint. Step 2: Place a small portion of each of these items into the bottom of each little ice tray spot. 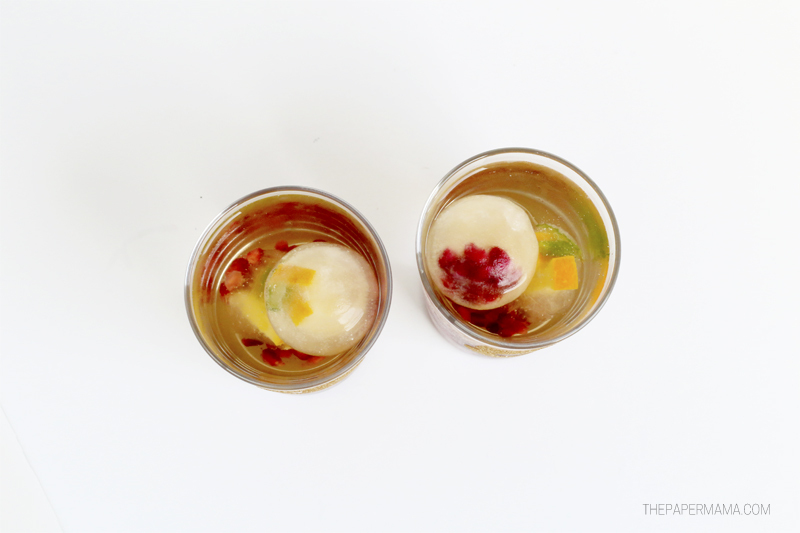 Fun fact: it seems pomegranate seeds sink, so you’ll probably find them at the bottom of each ice piece. Step 3: If you have the ball ice tray, I suggest using a tiny funnel for this step. Carefully pour wine into each ice spot. Tap the trap a bit to get any bubbles out and refill more if needed. Step 4: Place the ice tray in your freezer for at least 6 hours. Overnight is probably best. That’s it! You now have the perfect little ice to keep your white wine chilled for your wine “cocktail”. 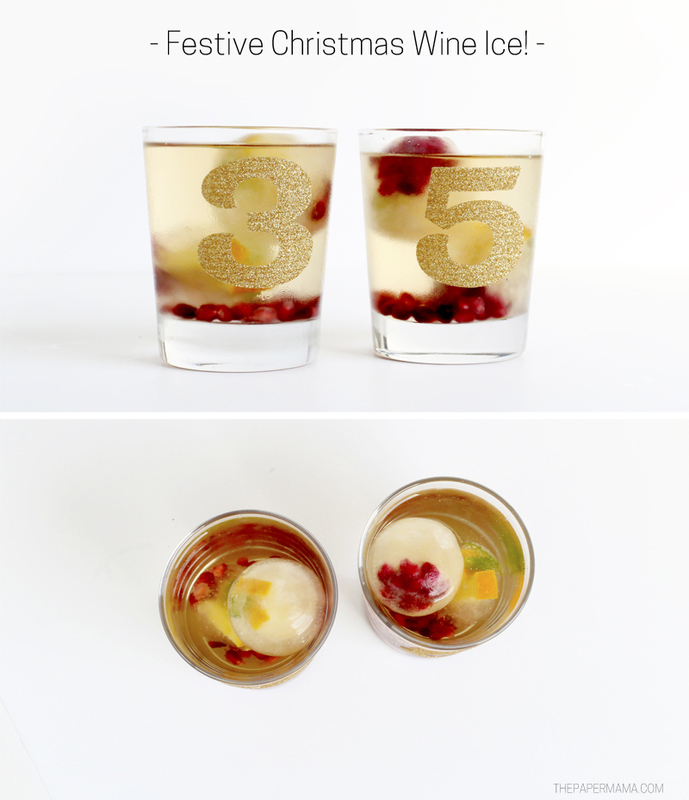 IF you really like pomegranate, you can sprinkle some extra seeds into your wine “cocktail”. Yum. Click here to keep up with my 50 DIY Days and check out holiday DIYs from the past few years. P.S. I want to see what you’re making! Share your crafting with me on Instagram. It could be one of my DIY’s, or a project you’re working on. Tag my IG account @thepapermama and use the hashtag #papermamafriends.